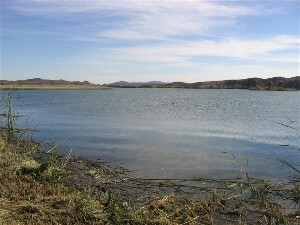 For a desert state, Arizona contains several fresh water lakes, the majority of which are manmade. Many of these lakes aren’t worth the drive or effort to scuba dive them. 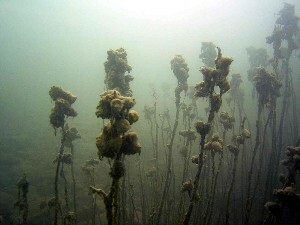 But there are a few that deserve underwater attention, such as Lake Mohave (outside of Bullhead City, AZ and Laughlin, NV) and Lake Pleasant (in Peoria, AZ just outside of Phoenix). 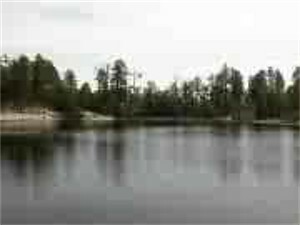 Check out the information on the lakes of Arizona below. This can be one of the best fresh water scuba diving sites! One of the top spots to dive in Arizona. 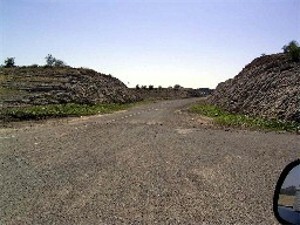 It’s in a central location (Peoria, just NW of Phoenix), easily accessible from around the state. It’s close to full level from Spring until mid-Summer. Then the lake level starts to drop off. It’s pretty cool because you get to see areas you scuba dive no longer submerged. 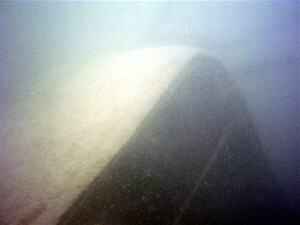 You can also plan future dives on the contour you see when the water level is down. Dirty Shirt (South Park Rd. ), and the coves next to the 10-lane boat ramp. 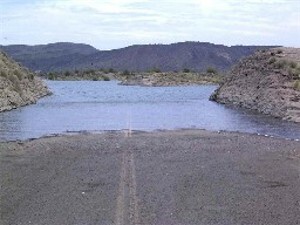 There is a small boat launch at Desert Tortoise and Dirty Shirt, but they are not used very much during the week, and they become roads when the level is down. The marina is on the other side of the lake. There are occasionally people swimming in all of these areas. Sometimes there will be boats or ski jets, but they are all no wake zones, and we’ve only seen the occasional non-compliance. 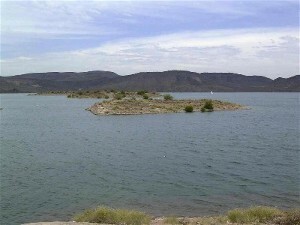 According to a volunteer at the park, Lake Pleasant tends to stay close to full throughout the spring and early part of summer. During our three years of diving here, we’ve pretty much confirmed this. They pump millions of gallons of water through the Old Waddell Dam every day. This keeps the water somewhat filtered, allowing for better visibility than at the smaller lakes. Some people will tell you the visibility is better in the winter than in the summer, but we haven’t seen any real pattern to the amount of visibility we get. It varies, but it doesn’t have anything to do with the water temperature. 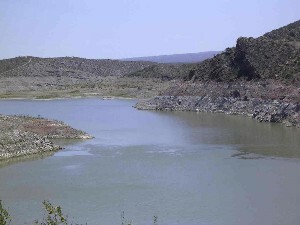 The current dam, Old Waddell Dam, is an earth dam. The previous one was concrete and is still intact about 80 feet under when the lake is full. With a boat this dam can easily be visited. 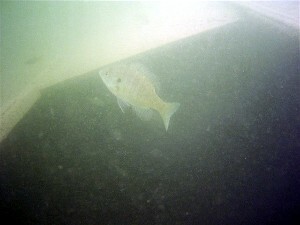 In fact, we did a couple of dives at the Old Waddell Dam at the end of October 2006 (see our dive report). Be careful in this area, though. The lake gets to a depth of 260 feet here when at full level. 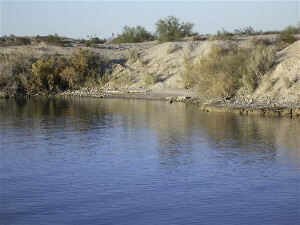 This is the best fresh water site in Arizona! 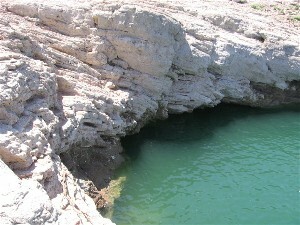 Lake Mead is claimed to be one of the top ten freshwater dive sites. 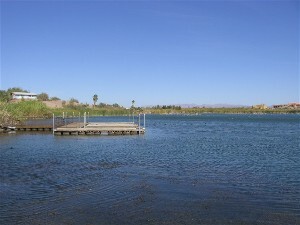 Well, Lake Mohave definitely ranks high, especially when it comes to shore diving. 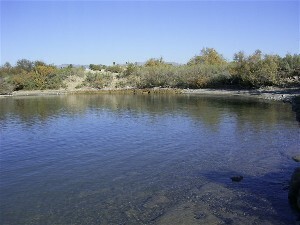 Starting at Katherine Landing, just stop at any of the coves on the Arizona side. Step into the water and be prepared to find yourself at 75 to 100 feet or more within minutes. 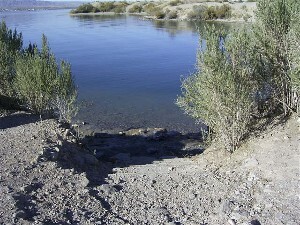 Lake Mohave was a deep canyon before the construction of the dam. 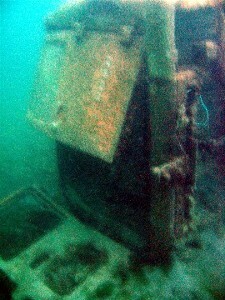 Now it offers divers a chance to get some depth. 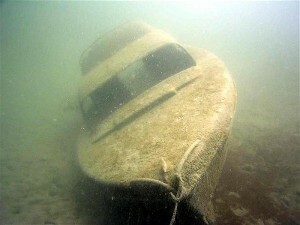 It also maintains visibility of 30-50 feet year round. But with this visibility comes a price – a temp in the 50s to 60s year round. Dry suit recommended, but get in quick in the summer. The air temp gets into the 120s during this time of year. Here are some photos of the vehicles you can find around Cabinsite Point along with directions on how to find them:At Cabinsite Point, you will find the boat launch signs at the water’s edge. Go to the south cove and surface swim until you’re out far enough to hit 20 feet of depth (not very far out). Line up the two signs and then take a 165 degree heading. Descend and swim that direction. You will find the bus at about 50 feet. To find the van, line up the restrooms from in the water, drop down to a depth of about 30-35′ and you should come down right on the van. The boat is located on the other side of the point. Enter the water and follow the natural ravine that drops down to 80′ depth. The boat is just to the left of this and easily visible if you are swimming along it in the middle. Not that great of a lake to dive. First of all, in order to get to it, you have to drive over 12 miles of dirt road. That may not sound very bad, but the dirt road is on the side of a mountain and wasn’t graded very well the time we drove it. 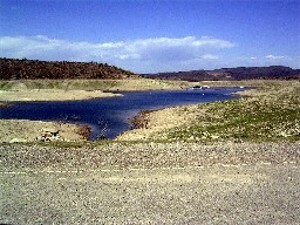 It’s located between Canyon and Roosevelt Lakes. 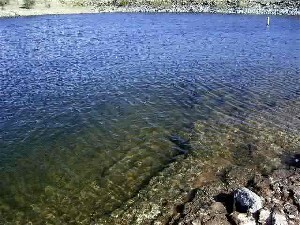 According to one of the Park Rangers there, Apache Lake has had quite a few algae blooms over the past few years resulting in a lot of fish kills. We saw dead fish at almost every entry point we considered. When we finally chose an entry point, we got in, but only had about 1 foot of viz. We almost swam into a fish because neither us, nor the fish saw each other until it was almost too late! We got down to about 20 feet, but the viz quickly became worse because the sunlight couldn’t penetrate the sludge and the algae got much worse! All in all, it wasn’t worth the drive. There’s no telling how it will be on any given day, either. So we wouldn’t recommend this lake. Comparable to Canyon Lake, and just about as far off the beaten path. 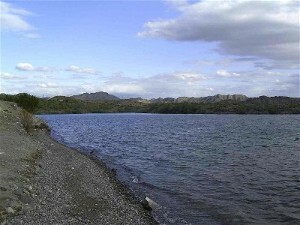 Barlett Lake is at the northeast end of Phoenix, just outside of Cave Creek. 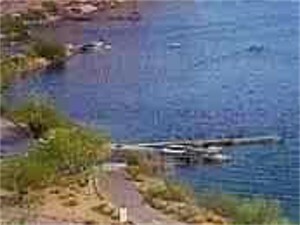 If you live up that way, it’s not a bad place to head to, but Lake Pleasant isn’t that much farther. And the diving is much better most of the time. There are a couple of areas you can enter the water from, including the boat ramp and to the west of the main parking lot. Just follow the road over that way and drive until you hit the water. You won’t get a lot of depth from shore. 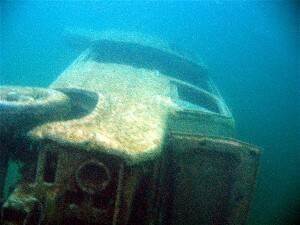 This didn’t used to be a bad lake to dive. Recent reports have the visibility at pretty much zero. 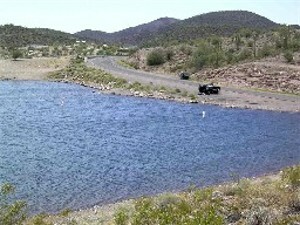 Located to the NE of Phoenix, near Apache Junction, the roads to this lake are all paved. The last 8 miles are windy, mountain roads, but not too bad, unless you get stuck behind a tourist who won’t go faster than 10 mph because it is a windy, mountain road. This is the lake we completed our Altitude specialty at. The viz ranges anywhere from 3 to maybe 10 feet. 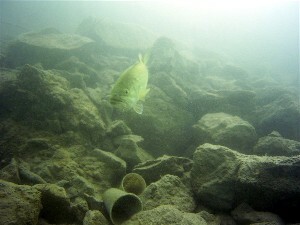 We dive Boulder Creek, shown in the photos. This area is off limits to boats. There is a fishing dock and some picnic areas, but we haven’t had any problems with fishing lines. 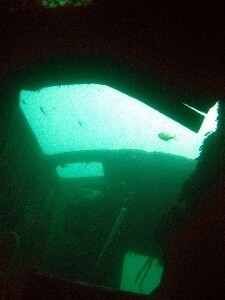 We’ve gotten down to about 35 feet depth before it starts to get too dark and murky to see much. This area of the lake also channels off into a narrow passage that can get a decent drift going through it. There’s a wall on the opposite bank you can dive, but be careful with the areas of the wall that jut out. There are places to surface down stream, but you’ll have to walk back–no vehicle traffic that far in. Another location we’ve checked out here is Acacia. 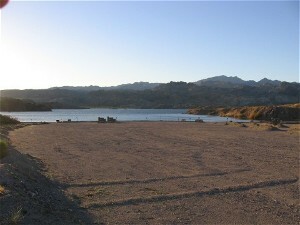 A boat ramp, parking lot, and picnic tables are located at Acacia. There’s a small cove between the day use area and the boat ramp that gets down to about 60 feet. If you head towards the river bed, you can easily hit 100+ feet. Watch out for the boaters, though. One of us was on a dive with the other on shore support when a boater took his vessel right up to the buoy and touched it. He couldn’t hear the yelling over his motor. Fortunately, no harm done, but just note that this happens. Across from the boat ramp is a wall which bottoms out about 90 feet, then slopes down to the river bed. It’s much easier to access by boat, but the swim across isn’t that bad. Just watch out for the boat traffic there. Located in Show Low, it looks like it has potential, but the levels are really low right now. In fact, the lake is supposed to have some islands, but the islands are now hills in the field around the lake. We didn’t even dive this lake because it’s supposed to have an average depth of 30-40 feet when full. It was about 15-20 feet low, probably not worth it. The water did look somewhat clear from the surface, though. Maybe when the drought ends! Located in western Arizona on the Arizona/California state line, there’s not much else in the area. 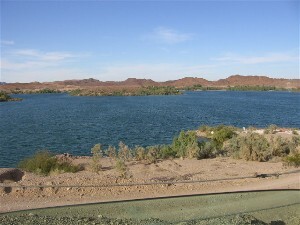 Lake Havasu City is about 2.5 hours north of Yuma and 1 hour south of Bullhead City. 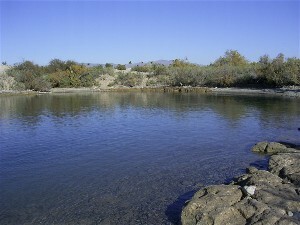 Lake Havasu has an average depth of about 30 feet. Most area near shore range from 10-20 feet. 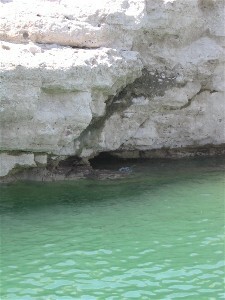 The river channel can get as deep as 60 feet near the northern end of the lake. Water temps range from the high 40s in the middle of winter to the high 80s in the middle of summer. The most common shore diving site is called Site 5. Drive across the historic London Bridge (yes, this is the real one from London) to the island. Take a right on Beachcomber Blvd and drive until you see the sign for Site 6 boat ramp on the right. 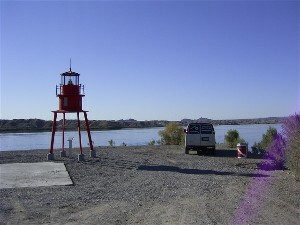 Turn onto the dirt road immediately before that sign and follow it to the small lighthouse replica with the trash can that has a dive flag painted on it. The steps to the cove are right next to the trash can. There is a dive flag etched into the concrete on the bottom step. Enter the water onto gravel, set your dive buoy and drop down on the gradually sloping wall that takes you to about 20 feet. Swim around to the right towards the rock walls you’ll see from the surface. Near the larger rock wall in about 15 feet of water you’ll come across a tree with a line tied to it. Follow the line to what we think is a truck cab that sits at about 25 feet. From there follow the line to the right until you come to a small boat at about 27 feet. After a few minutes on this “wreck”, swim to the right again following the line until you come to the cabin boat in about 15 feet of water. 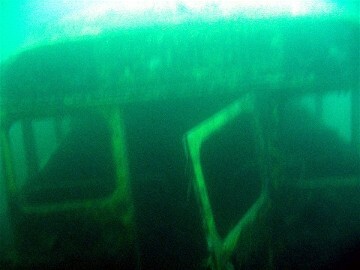 This boat is pretty big compared to the other “wrecks” you’ll have been at and also allows penetration into the cabin. However, if visibility is on the low end, it gets real dark and murky in there and easily silted. At this point, you will be right in front of the small beach that you saw to the left of the larger rock wall. You can then take a 160 degree heading and swim across the cove to the steps that lead back to your vehicle. Visibility varies from 3-20 feet depending on when you go. We’ve only seen 3-5 feet, but hear that the greater visibility comes during late spring/early summer. We’ll let you know our first hand experience. There is a dive shop in town on Kiowa Blvd (off of 95 north of the road to the island. Turn east on Kiowa and drive a few miles. You’ll see a large dive flag painted on the side of the building. The shop is called Scuba Training and Technology, but the real shop is TechDivingLimited. You can get all kinds of fills there from air to nitrox to trimix. You can also get all kinds of gear. Located outside of Yuma about 20 miles north of it. 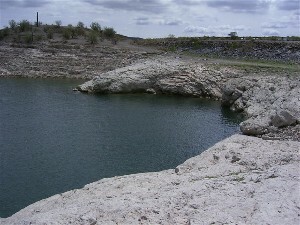 The reservoir has a couple of access points. The road that leads to the main camping and beach area divides these areas. Near the camping/beach area, depth appears to be minimal. The bottom slopes gently out from shore. Visibility also looks only to be about 3 feet at best. 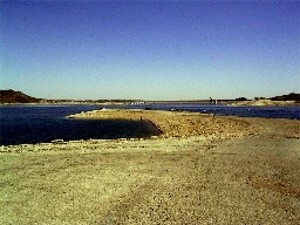 To the west of the road is a boat ramp that leads to that side of the reservoir. The conditions look marginally better there. Visibility looks like it might reach 5 feet or so and depths are definitely greater on this side of the road. There are lots more rock walls, which indicates there might also be some fish life. We’ll be checking out this site after our next trip to San Diego. Located outside of Yuma about 25 miles north of it. You’ll need to drive through the Yuma Proving Grounds to get to it, but there’s no gate to pass. The road is open to everyone. The lake has a few fishing docks set up. There’s lots of growth in the water and visibility looked to be less than 3 feet, if even that. It also didn’t look like much depth was possible. We opted not to dive this lake and head south to Imperial Reservoir, where we heard diving was a little better. The closest lake to Flagstaff. 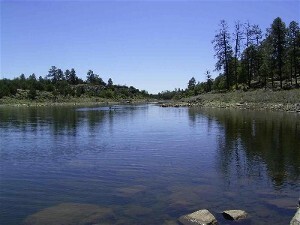 Lake Mary is located just southeast of Flagstaff. It’s actually referred to as Upper Lake Mary and Lower Lake Mary. 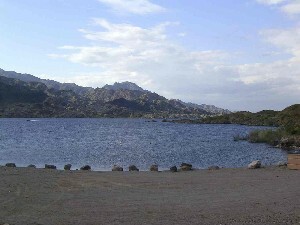 Upper Lake Mary dries up in the summer. It appears to be shallow, about 20 feet. It’s also very tannic. We didn’t even bother getting in. No restrictions against swimming it. It just didn’t look like it was worthwhile or that there would be anything to see there. Looks like it’s used mainly as a fishing lake. Located outside of Flagstaff, this lake is dry most of the year. Even when it’s full, it’s only about 20 feet in depth. Viz is not that great. It’s basically just a basin. Not worth the drive, even from Flagstaff. Located in southeast Arizona in Cochise County, it is a little off the beaten path. The drive isn’t too bad. You don’t need a high clearance or 4×4 vehicle, but you will drive some dirt roads. The only practical entry to this lake is on or near the boat ramp. This means weekends are probably not the best time to check this lake out. 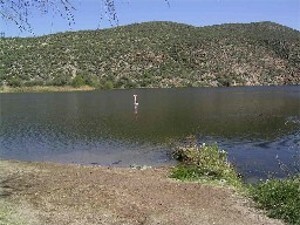 Make sure you carry a dive knife or shears–this is a fishing lake, as are all lakes in Arizona. This one just happens to be smaller, so the chances of getting caught up in fishing line are greater. 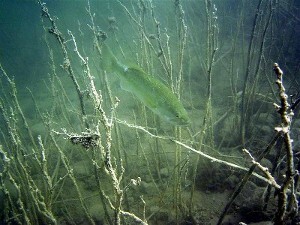 Visibility varies from 5-10 feet to black water depending on when you go. The deepest we’ve gotten from the boat ramp is about 25 feet. We’ve heard that the lake averages 82 feet in depth, though. If it does, that’s over in the area of the dam, which is only accessible by boat or hiking your gear around the shore line. Rumor has it that someone lost his wallet, along with about $500, in the water near one of the docks. Good luck finding it! Located in southern Arizona, not too far from Nogales. Not very good viz. Basically, if you dive Patagonia, you’re diving black water. If you really want to check it out, though, drive over to the day use area. There are some decent entries there. You’ll walk a little, but it’s all paved sidewalks. In one area, you even walk into the water on a huge boulder and drop in from there. Visibility is on and off, mostly off. Gets real dark at 20 feet. 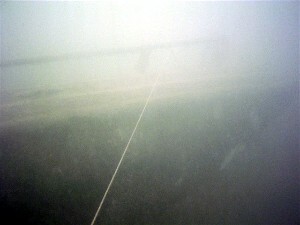 At 25 feet, we couldn’t see a thing, not even with lights. 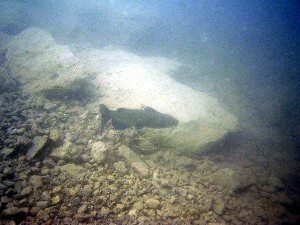 Staying between 10-15 feet down off the wall near the day use area will give you a chance to see some fish. Watch out for the trees on the bottom! They sneak up on you fast. 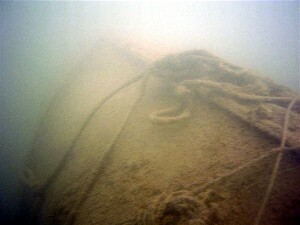 We dove one of the coves to the southwest of the day use area off a boat and it was nothing but trees on the bottom. At shallower depths you can swim along the rock walls and, if you’re lucky, see some interesting thing. Don’t hold your breath, though. From what we’ve heard, you can take a boat west on the lake to the island (5 minutes with a trolling motor) and reach 80 feet just north of the island, but the water tastes and smells real bad at that depth, supposedly from the nitrogen. We’ll be doing that within the next year and provide you with a first hand account. 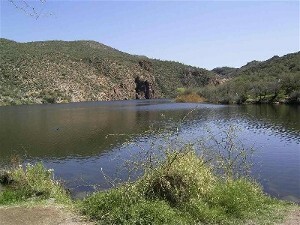 Located northwest of Nogales about a dozen miles off of Interstate 19. Even with the poor visibility at Lake Patagonia, you’re better off going there. 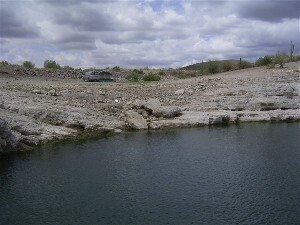 Entry into Pena Blanca is difficult at best without a boat. 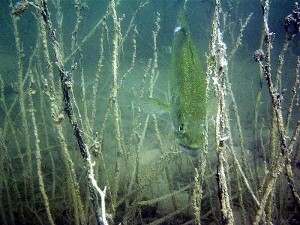 And even when you do get into the water, there’s lots of brush and growth all over the place. 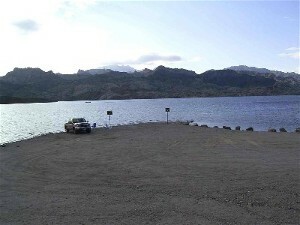 The lake is very shallow at the boat ramp. Deeper water lies towards the center of the lake, but entry means hauling your gear down several steps to get to the water from the parking lot. Located outside of Safford. Not a worthwhile lake to dive. 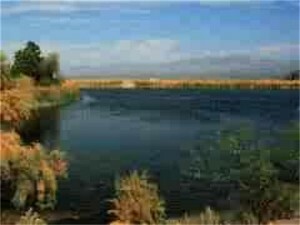 It’s mainly used as a fishing and swimming lake. The water has a very strong smell of fish and the viz is pretty much not there. Access to the beach is a couple hundred yard walk down a sidewalk, then down the slope to the swim beach. There are areas you can drive right up to shore, but it’s real shallow in those spots. You’d have to swim a bit to get some depth. The lake has a gradual slope down and a good amount of boat traffic. 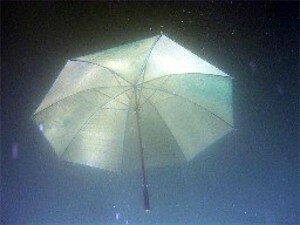 Not a recommended dive site. The closest lake to Tucson. 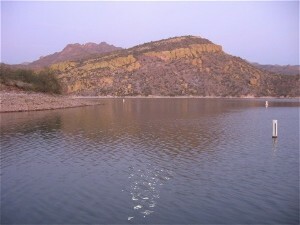 Rose Canyon Lake is located on Mt. Lemmon. 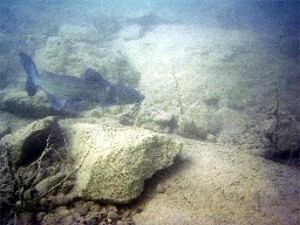 Unfortunately, Arizona Game and Fish changed the rules a few years back and prohibited swimming in the lake. The lake is small (about a mile shore line) and only about 20 feet deep (near the dam), but getting in the water risks getting cited by Game & Fish. The visibility looks to be at least 3 feet, maybe more. On the weekend, there are people fishing all around the lake, so entanglement would be a definite hazard. A nice lake to visit. Maybe Game & Fish will change the rules some day. The closest lake to Phoenix. 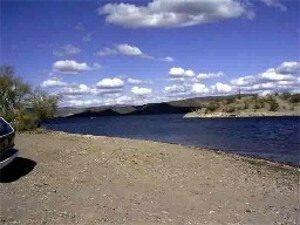 Saguaro Lake is located about 20 minutes from Tempe. Not very good visibility. Basically, if you dive Saguaro, you’re diving black water. 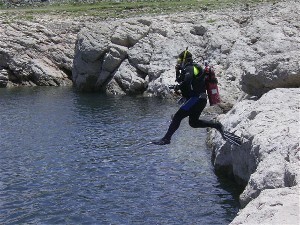 Local dive shops do conduct OW check out dives here. These are usually done off of boat ramps 1 or 2. To get depth here, you need to drive to the end of the parking lot to Keyhole, visibility is worst, but you can get over 100 feet. The water does become black at about 20-25 feet, though. 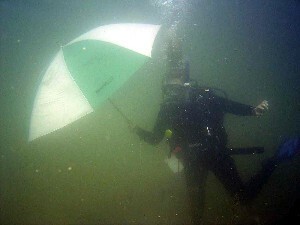 Another diving area we’ve heard about is Butcher Jones Beach. It’s not too far from Keyhole by boat, but it is pretty shallow. It would be quite a surface swim just to get to 20 feet. 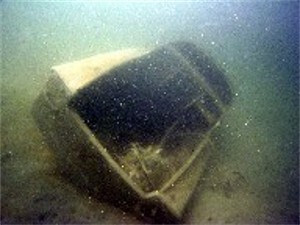 Saguaro does have some sunken wrecks in it. Word is there is a bus and a helicopter there. The bus sits at about 80 feet; the helicopter sits at about 40 feet. You need a boat to get to both of those. 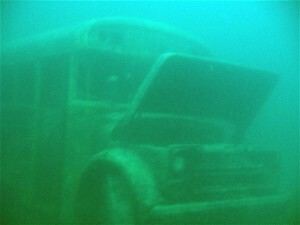 We’re not sure where they’re at, but we do hear that the bus isn’t really divable anymore due to deterioration. Located south of San Carlos, AZ on a reservation. It is definitely not worth checking out at this time. The level is about 80 feet below full. The water is green and stagnant. We didn’t even get in. It was easy to tell the viz was horrible. If you try this and can see your mask lenses, that’s a feat! 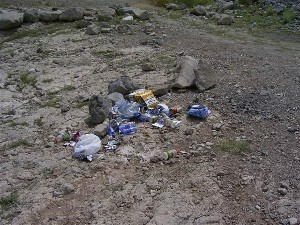 Again, another lake that needs to be re-evaluated if the drought ever ends.